It takes a special kind of wizardry to engineer the light effects at a show like Harry Potter and the Cursed Child on Broadway. Along with every other element of the two-part stage epic, the lighting is spectacular—and as much a part of the performance as the acting and music. 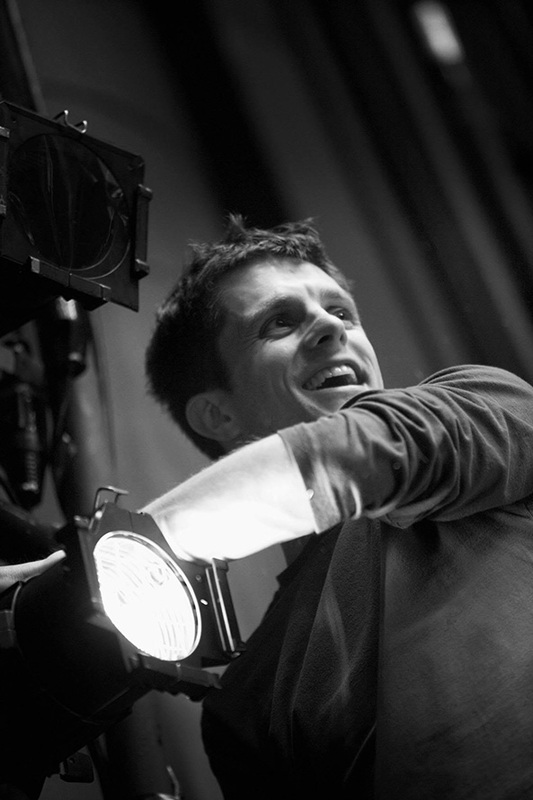 That’s thanks to the behind-the-scenes magician, lighting designer Neil Austin. Austin’s work does so much to distract the eye and create the illusion that chairs, people, and various things are floating in air. He bathes the Gothic architectural elements of the set with lovely purples and blues, and he shrewdly deploys shadow; there’s a marvelous “ripple” effect across the whole set when the Time-Turner is used. If you’re a betting person, put money on Austin come Tony time. And that’s not all! 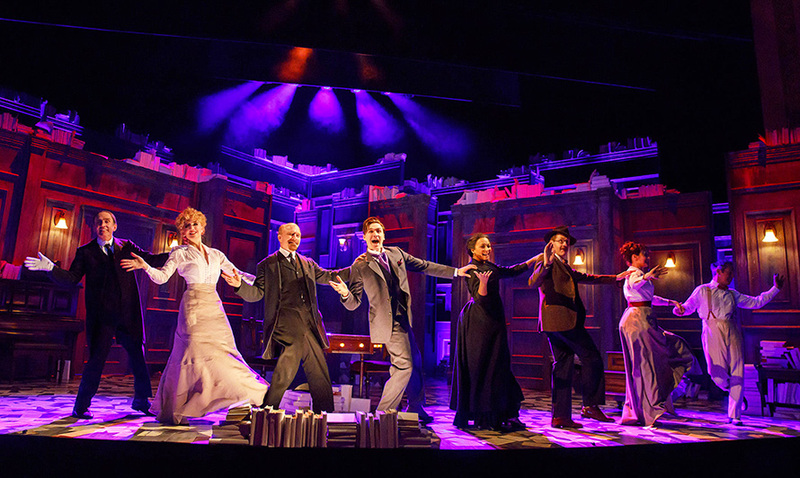 He also designed lights for another London transfer: Tom Stoppard’s Travesties, playing down the block from Cursed Child at the Roundabout. That project is a lot less complicated, but no less impressive. What Should We Do?! caught up with the very busy Austin shortly before his shows were to open. What Should We Do?! : You’re lighting Travesties and Harry Potter and the Cursed Child on the same stretch of 42nd Street; very convenient! Neil Austin: Yes, it’s been amazing. Having two theaters right next door to each other has made it all a lot easier, for sure. WSWD: Has your time been evenly divided? Austin: I definitely spend more time on Cursed Child. That transferred first, and Travesties came later. WSWD: Although you’re based in London, you work on Broadway quite regularly. Austin: Yes, I first came here exactly 20 years ago as an assistant, to relight the show that ended up winning the Tony for best play that year: Martin McDonagh’s The Beauty Queen of Leenane. We toured around the world, and then it suddenly found success on Broadway. The original lighting designer wasn’t available, so I, in my early 20s, was in charge of lighting a show on Broadway—which was scary beyond belief. WSWD: How has technology changed lighting for theater? Austin: There’s a wonderful interview with [director-writer-producer] George Abbott from 1987. He was having his 100th birthday and was asked: What’s the single greatest change you’ve seen in your career in theater? And he said the invention of electricity. For me, it’s been the invention of the blue LED, which has allowed us to get color-changing, low-wattage lights. It has completely transformed my world. For the first 10 years, it was not particularly usable for theater, because it wasn’t high quality enough in the way that it dimmed and the colors it made and how it looked on skin tones, but recently, it’s just been amazing. I’ve lit two shows now on Broadway almost entirely using LED technology. WSWD: What’s your favorite lighting color? Austin: In the lighting world we call them “black-body curves.” It’s essentially what would happen to a piece of metal when you heat it up. It goes through red, to deep orange, to eventually white-hot. It’s the equivalent of candlelight: That dark blue, dusky sky. There’s a line of colors along that line that I adore because they’re very natural. They’re what we see every day in the outside world, what we’re used to seeing in skin tone and objects. So they’re a very good set of colors to use when you want things to look natural, and they’re great to work away from when you want things to look unnatural or abstracted from reality. WSWD: Where do you go for visual inspiration? Austin: Well, the natural world and the art world. You’ve caught me in the middle of wandering around all the art galleries on West 21st and 22nd Streets, just having a look. That’s where the inspiration comes from: paintings or sculpture or the crazy stuff you see in the natural world these days. WSWD: What’s the best, greatest lighting idea you had to throw out? Austin: Oh, dear. What an awful question. Blimey. WSWD: Due to a director’s ignorance, of course. Austin: The terrible—or brilliant—thing is: It happens all the time. You come up with an idea that you think is wonderful, and then somebody else on the team points out to you that actually it’s completely unsuitable because of a, b, and c. It’s a wonderfully collaborative process, theater. You’re not a lone-wolf artist. Or lone-wolf craftsperson. There’s another question: Is a designer an artist or a craftsperson? Who knows. But you’re not a lone wolf in that you are part of a team of people, all of whom have specialties. There have to be actors, playwrights, directors, costume designers, lighting designers, video designers, sound designers. We’re all attempting to appear as one, telling a narrative to an audience. WSWD: Speaking of narrative, besides straight plays, you’ve collaborated with choreographer Matthew Bourne and lit dances. I’m curious: Have you worked on something in the realm of pure, non-narrative imagery? Austin: I haven’t, but I think I’d love to. With me, it’s always either a script or some form of dramaturgy. Even the dance pieces I’ve done have been in the classical ballet tradition, with some type of story. Occasionally I’ve done dance pieces that have been purely about movement, but even then, there’s a narrative underneath. WSWD: When you go to the theater or a dance performance, do you find yourself able to turn off the lighting designer side of you? Austin: Oh, almost always. Only if it’s very bad do you end up noticing your elements or other people’s elements. I still love sitting there and having that sort of childhood wonder of being told a story by a bunch of extremely talented people. WSWD: If we were to plan your perfect day in NYC, what would it include? Austin: It would definitely include dinner at Barbuto. There’s an apartment I rent each time I come here; it’s a company apartment. I make sure to get that before anyone else in the production team does because I’m like, “I want to be opposite my favorite restaurant.” What else? Wandering the galleries of Chelsea. Place to take out-of-town guests? Read about more inspiring New Yorkers in our People Who Make NY Special column.